WHO SHOULD ATTEND: Designed for the busy tax and financial professional, these one-day workshops are custom-designed to provide the most recent advanced updates from CRA, Finance Canada and Statistics Canada, and to provide strategies for applying new rules and interpretations to compliance and planning scenarios for clients using cutting-edge technology. Ideal for training new and returning staff, professionals may earn 10- CE/CPD credits and participate in important networking to build their businesses. YEAR-END INVESTMENT AND BUSINESS PLANNING – WHY IS THIS TIMELY? 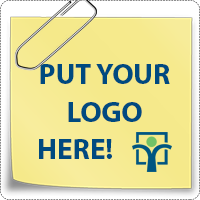 If you are working as a professional in the tax, bookkeeping or financial services and preparing tax returns, books or tax-efficient retirement and investment plans for your clients, it is critical to know personal and corporate tax changes for the 2019 tax filing year in order to discuss strategies and plan tax-efficient income as well as capital acquisitions and dispositions for individuals, families and multiple generations. This workshop will refresh and update your knowledge and skills in advance of tax and RRSP season and the 2020 business tax year, and will allow you to work with your clients and their families before year end to structure their affairs properly to avoid punitive taxes. 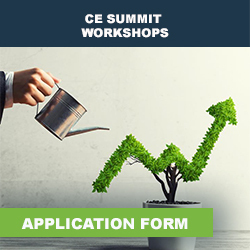 CE Summits are delivered with three components: pre-reading, in-class session, and a post-session online course component at a special price, only for attendees. Participants will earn a beautiful certificate and 10 CE Credits as described below. 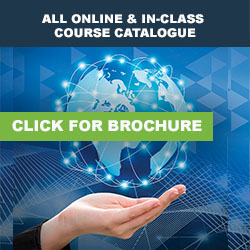 Course Components: This one‐day workshop is delivered by well-known industry experts and includes a comprehensive reference desk manual to keep this cutting edge information at your fingertips! Option to continue your studies online post-session. CE/CPD Credits. Your clients will appreciate your investment in your updated knowledge. Earn a beautiful certificate and a total of 10 CE/CPD credits: Pre-Reading: Earn 3.5 CE/CPD credits. In-Class Session: Earn 6.5 CE/CPD credits. This workshop also qualifies as 10 credits towards the DFA-Tax or Bookkeeping Services Specialist™ or MFA™ Designations. Most professional associations and organizations accept Knowledge Bureau certification for their CE/CPD requirements. Special Reduced Tuition Fees for the Workshop apply before October 15: Early Registrants, Designates and Groups - new - table of six. For more information, call 1-866-953-4769 or register online. These workshops provide outstanding reference and research materials to embellish on your learning experience: the Knowledge Journal—your essential guide for full year planning for the 2018 income tax season; pre-reading in the outstanding EverGreen Explanatory Notes and last but not least, the opportunity to ask questions of knowledge experts and instructors for experiential insights. You will meet peers from both the tax and financial services to review and discuss comprehensive case studies to provide opportunities for in-class collaboration and out-of-class cross referrals. Take advantage of discounted rates for early-bird registration until October 15, 2019. Contact Knowledge Bureau on-line or call l-866-953-4769Copyright ©2019, Knowledge Bureau, All rights reserved.